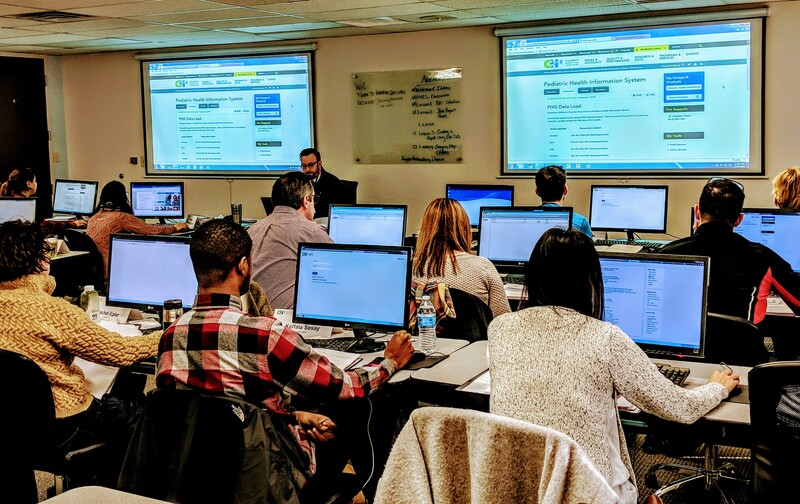 Training Umbrella continues to grow in Overland Park, Kansas, expanding to meet the needs of its growing client base. OVERLAND PARK and KANSAS CITY, Kan., September 26, 2018 – Training Umbrella has continued to grow significantly since acquiring Sirius Computer Solutions in 2015 and is excited about the additional meeting rooms, technology labs and flex space that has been added. Having more space for customized training, education and meeting needs, the new space will now allow Training Umbrella to accommodate more students in larger classrooms, along with offering more direct technical lab classrooms and its growth catering to the healthcare industry. Training Umbrella has instituted a new modular classroom process whereby any classroom can be set up as their clients’ needs change. “Show up at Training Umbrella one day and you may see a technical lab in a room and the next day it might be ready for an executive meeting,” says Christy Rogers, founder of Training Umbrella. We are a small size training company delivering big training solutions to big companies. Training Umbrella's facility has computer labs, meeting spaces, flex spaces and more, they have you covered. The space is customizable, and you won't have to worry about setting anything up. The staff takes care of everything so trainers can focus on training. Students will have a full stomach at Training Umbrella, with complimentary drinks, breakfast, and freshly baked cookies and snacks. Training Umbrella can also provide hot breakfast and lunches. Training Umbrella understands that everyone is on different levels when it comes to education and they really help get students where they need or want to be. One of the few training companies still offering Live Instructor-led in-person classes taught at their facility, the client’s location or online. Training Umbrella can develop or customize training courses for companies training needs or specific software. They are located within the Kansas City area, but their services are offered throughout North America.